Ruffles are huge this season and they are fun to wear, but did you know that they can also make dressing for your body shape super easy. Check out this video to see how. You may be thinking that you are not a fan of ruffles, but before you write them off, take a look at what they can do for your body shape. Ruffles can add flare and balance to a skirt that will otherwise make your hips look wider. Ruffles can add width or emphasis to your top half to balance out a bigger bottom half. Ruffles can detract attention from your tummy in a peplum style by emphasizing your narrowest point and flaring over your tummy. This style can also make your hips look smaller in comparison to the width of the hem. This trend is easy to wear no matter the season. 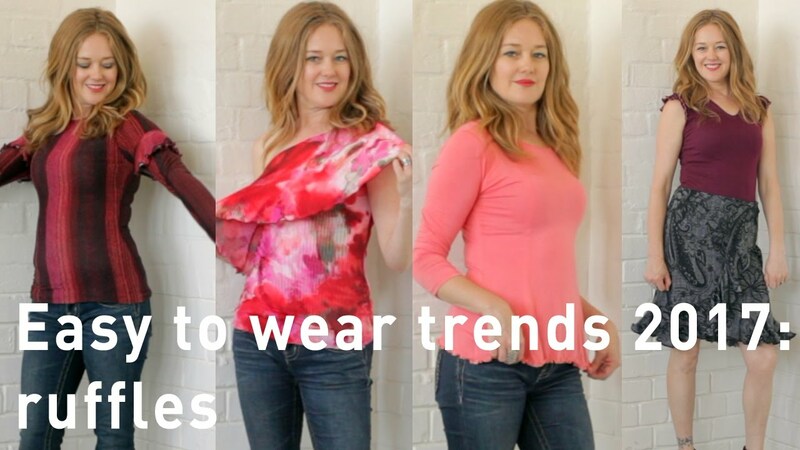 In spring/summer you can wear asymmetrical ruffle tops which also emphasizes your shoulders or in fall/winter, wear ruffle detailed jerseys to keep you warm in style.